Candy corn and pumpkins galore — fall is in full swing and the learning opportunities are bountiful! 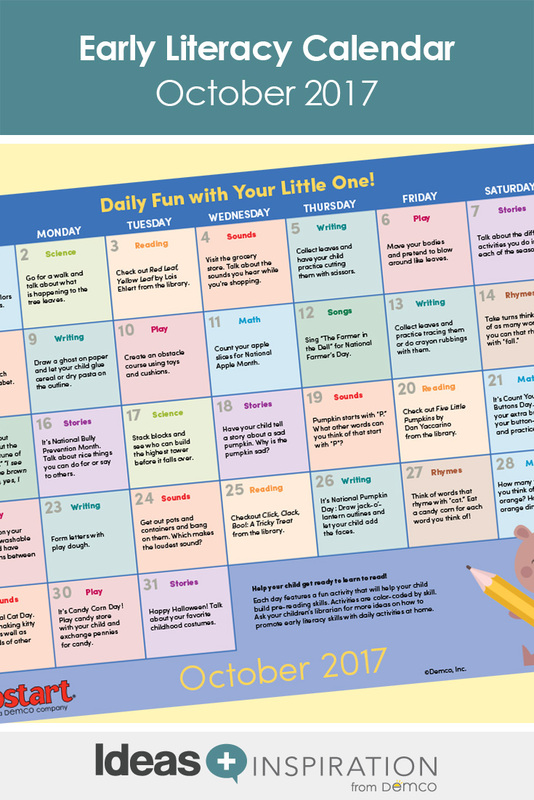 Share the October calendar with parents and caregivers so they can see all great ways to celebrate with their little ones! 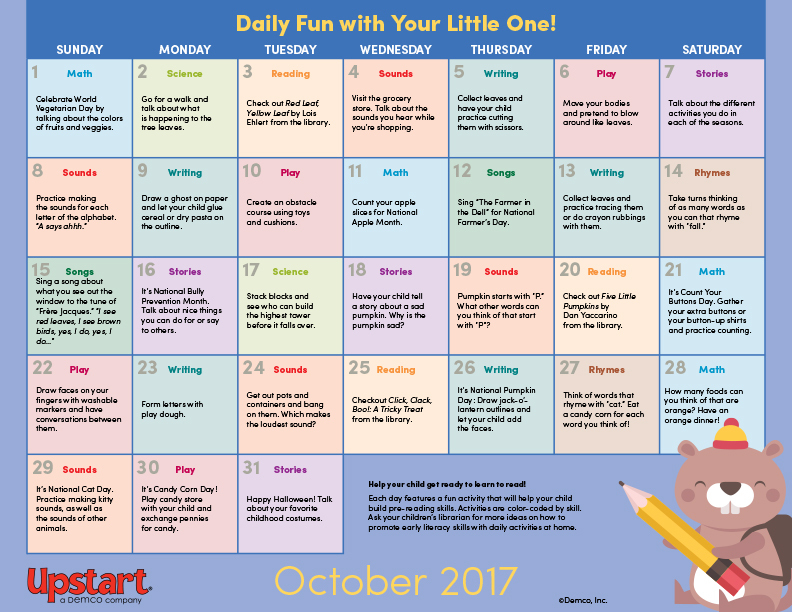 Download the October Daily Fun With Your Little One calendar. I love these calendars but as a librarian at the public library if we wanted to print these and leave them for patrons it’s hard when you recommend a specific title to check out. We only have so many of them. Maybe add “or a book about leaves” etc. Or ‘Check out a book about fall..’ with some title suggestions.